Ghent United Methodist Preschool will host its consignment sale in October. It is held in Ghent United Methodist Church’s Fellowship Hall at 531 Raleigh Avenue (Stockley Gardens), Norfolk, 23507. Come to shop for children’s clothes (up to size 14), shoes, baby gear, games, toys, bikes, books, and more. 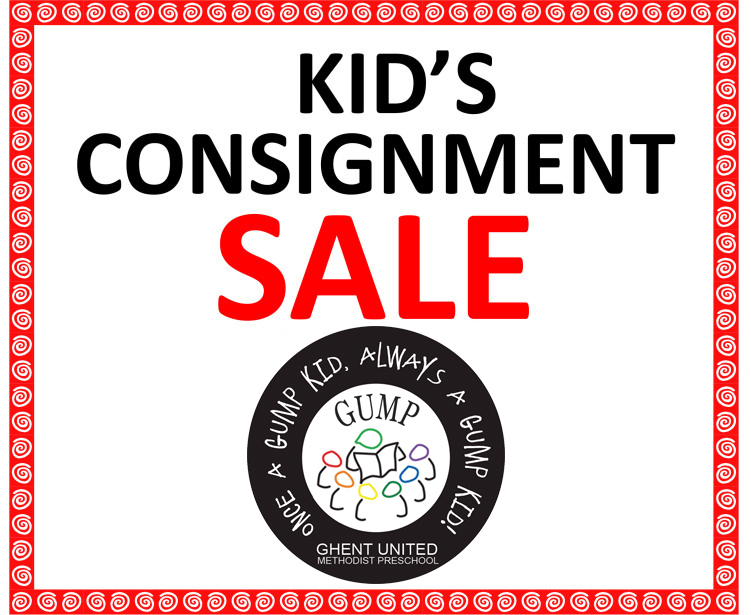 Specializing in infant and preschool aged children, GUMP’s consignment sale offers quality items at significant savings. Select items are sold at half price on Sunday and/or Monday. Come to shop and save! Visa and MasterCard accepted. Any questions please email gumpconsignmentsale@gmail.com.